There are so many things out there which promise great results - especially around health and well being. So the big question people often ask is "Does hypnosis really work?" Based on the old movie portrayal of hypnosis and more modern TV shows showing hypnosis used as entertainment, it is no womder that there is skeptisism around hypnosis. However the attitude to hypnosis in the medical world has changed considerably in the last decade. If you go to PubMed (US National Library of Medicine) there are now 866 clinical trials on the use of hypnosis. In addition there are now over 12,000 articles on hypnosis published in medical and psychological journals. Daily Mail : Does Hypnosis Really Work? 1. In a trial investigating the effects of hypnosis in weight loss for 60 females, at least 20% overweight. 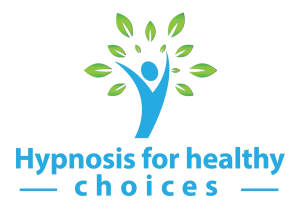 Treatment included group hypnosis with metaphors for ego-strengthening, decision making and motivation, ideomotor exploration in individual hypnosis, and group hypnosis with maintenance suggestions. Hypnosis was more effective than a control group: an average of 17 lbs lost by the hypnosis group vs. an average of 0.5 lbs lost by the control group, on follow-up. 2. Study of the effect of adding hypnosis to cognitive-behavioral treatments for weight reduction, additional data were obtained from authors of two studies. Analyses indicated that the benefits of hypnosis increased substantially over time. 3. An analysis of five weight loss studies reported in the Journal of Consulting and Clinical Psychology in 1996 showed that the "weight loss reported in the five studies indicates that hypnosis can more than double the effects" of traditional weight loss approaches.